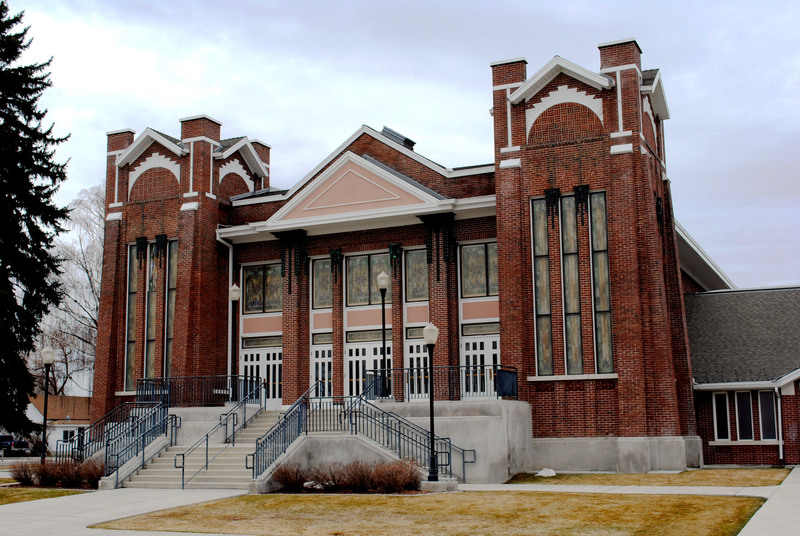 Inside this beautiful chapel is one of the most unique features I have yet to encounter in an LDS building. 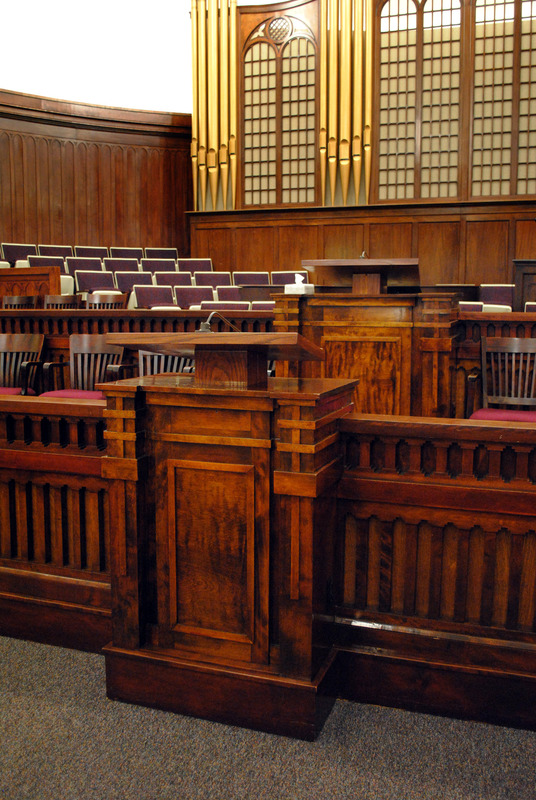 There are two pulpits on the stand, one slightly larger and slightly higher than the other; both are perfectly aligned on the center axis of the room. 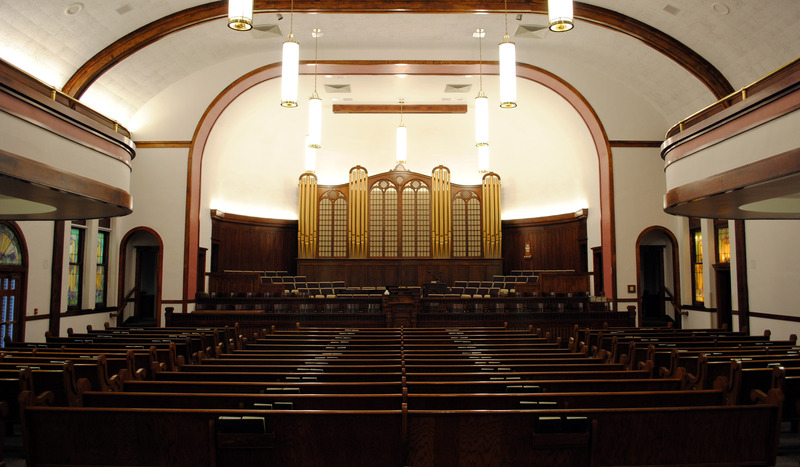 If anyone has the background story as to why there are two pulpits, I would be very interested.